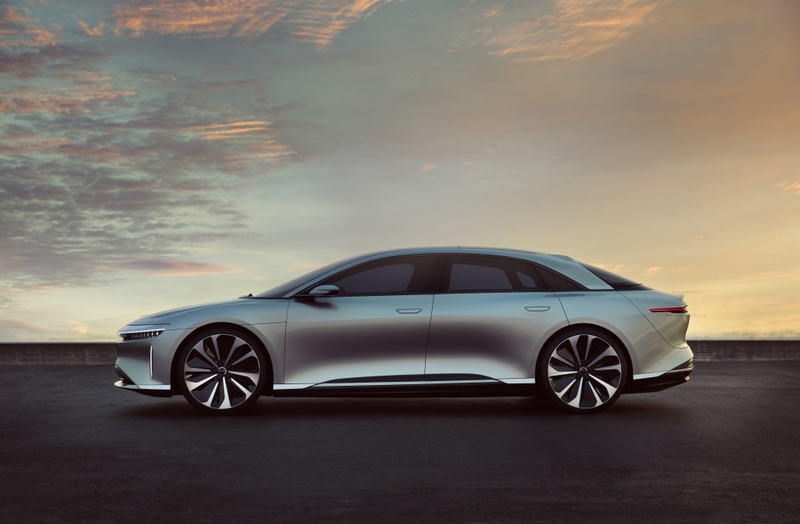 As well as boasting one of the coolest names in the car industry, the recently announced Lucid Air could rapidly become one of the most exciting plug-in vehicles to be released this decade. Underneath the ultra-sleek, luxury saloon styling sits new battery technology, complete with best-in-class energy density, meaning the juice-packs can withstand regular fast charging and offer an enticing 400-mile range. To add to the firm’s impressive credentials, the Californian company, which has been working on battery technology in Silicon Valley for over ten years, has just signed a deal with Formula E to be the sole battery provider for all teams. Lucid’s tech is apparently good enough to do away with the need to swap out batteries mid-race, which is the current issue blighting the burgeoning series, while the rigorous testing under real race conditions should act as the perfect incubator for developing its road car technology. But unlike the majority of pie-in-the-sky start-ups, the Air looks well thought-out from the outset, featuring exterior design from Derek Jenkins, the man responsible for the new MX-5, as well as engineering input from Peter Rawlinson, who was part of the original Tesla Model S team. According to its designers, the vehicle is around the size of a Mercedes E-Class but packs some seriously neat technological flourishes. The headlights, for example, mimic insect eyes by using thousands of micro-lenses. 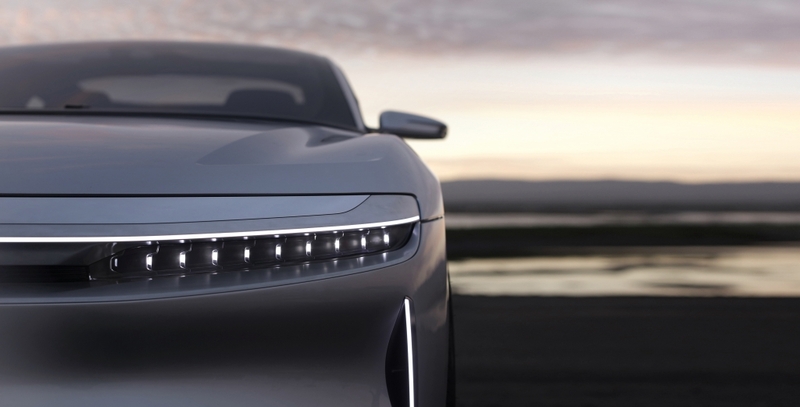 “The elegant form of the micro-lens arrays belies the complexity of these self-adjusting headlights, which optimally adapt to each driving situation, adding safety,” reads the official website. Inside, there are executive-style thrones at the rear, complete with plenty of screens for on-the-go entertainment. 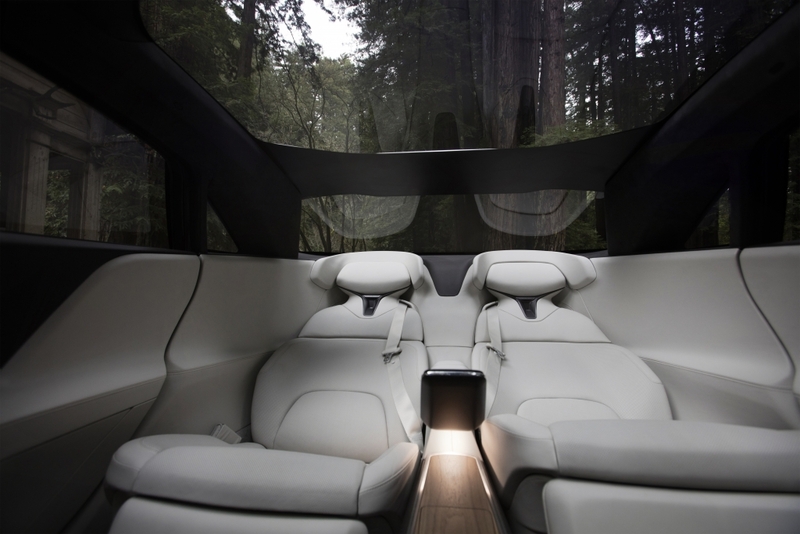 Plus, the 29 speaker audio system, with active noise cancellation and enhanced cabin isolation, creates a tuned acoustic experience to ensure it is more relaxing than its internal combustion rivals. Expect to see more of the Lucid Air at the end of next year, with a predicted released date of 2018.